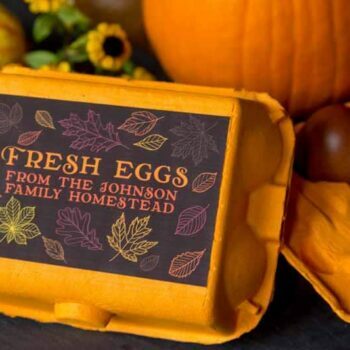 Our customizable egg carton labels give you an easy and eye-catching way to decorate your egg cartons for gift or sale. This design features a rich black or colored background with white flowers and antique design elements. These labels are designed to fit half dozen cartons, but can also be made to fit standard dozen or vintage dozen cartons. 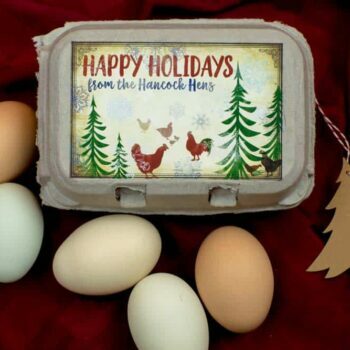 These labels work well on flat-top, windowed and clear boxes, and hold up well in the fridge and for multiple uses. Just leave your customization details in the “notes to seller” section when you check out, or send us a message with your details. All text can be customized! 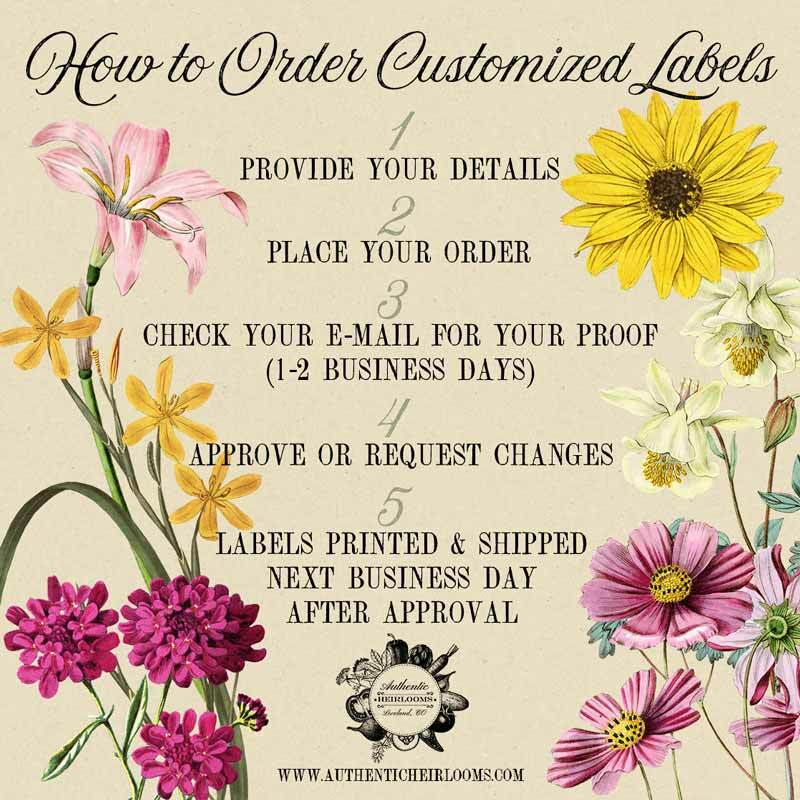 Once you place an order we’ll send a digital proof in 1-2 business days so you can check to be sure we have everything correct before we print your labels. * Any information about your flock management that you want to include on your labels — i.e. 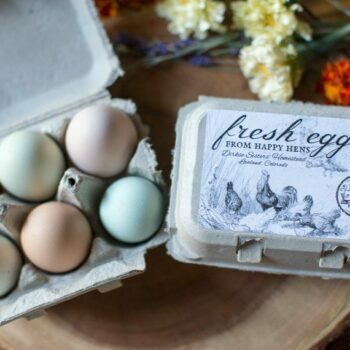 pasture raised, organic fed, raised with love, etc. * Any other text you want to include. If your state requires specific information on your label, just let us know! 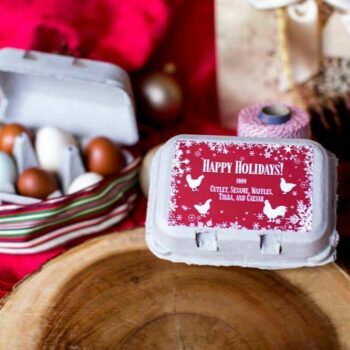 The labels are super cute..can’t wait to pass out some cartons of eggs..
Love it..really happy with the labels..